VW ID concept previews new electric car | What Car? 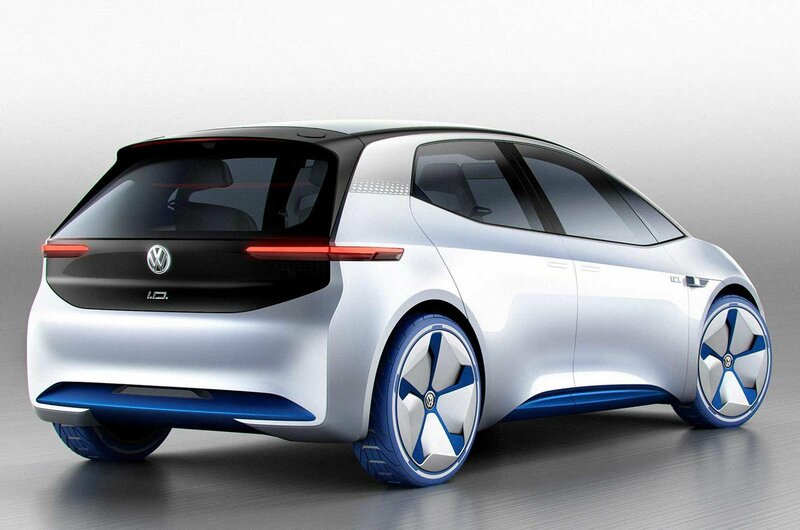 Volkswagen says you’ll be able to buy its fully electric ID hatchback by 2020. 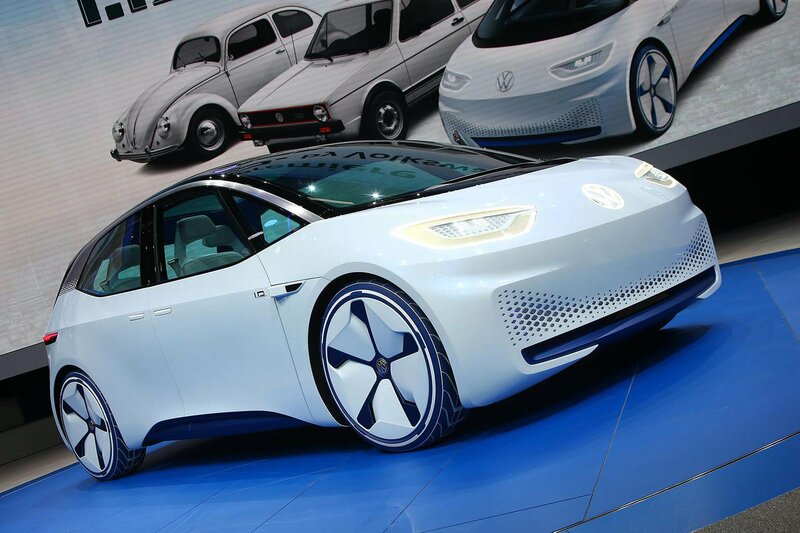 Sitting alongside the Golf in the VW range, the new electric five-door car has been shown in concept form at the Paris motor show. 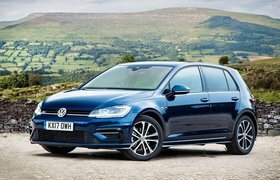 It will have a range of between 249 and 373 miles from a single charge, eclipsing the facelifted version of VW's own e-Golf, which willl have a range of 186 miles. VW says the ID concept can be charged to around 80% in under 30 minutes. By putting the car's electric motor at the back, VW says it has freed up space inside, as well as giving the model a tight turning circle - perfect for driving in towns. In production form, the car will be able to reach 62mph in less than 8.0sec and will have a limited top speed of 100mph. The ID will have a whole new design scheme, developed especially for electric cars, which will be mirrored in a range of EVs to be released in the ID’s wake. 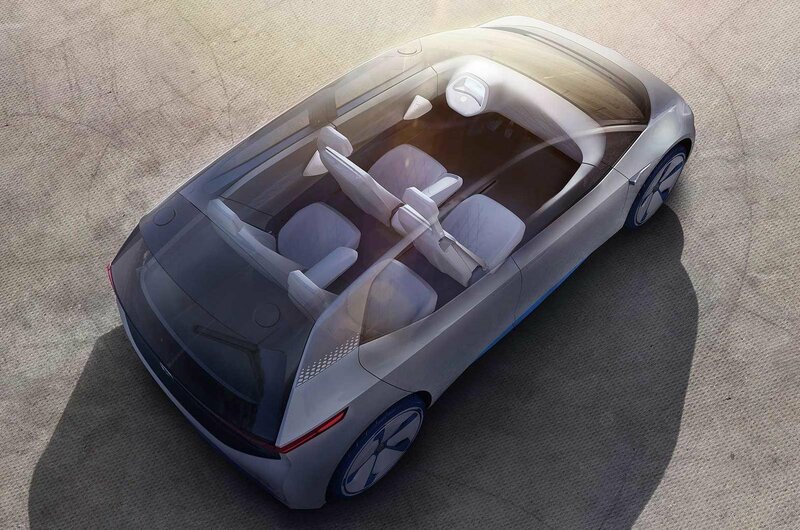 Volkswagen says that although it’s comparable to the Golf in size, the ID will have the amount of interior space more akin to that found in a Passat. The concept has seating for four inside, but offers up to 980 litres of storage space with the rear seats folded down. Powered by a 168bhp electric motor, the ID is the first compact car based on Volkswagen’s Modular Electric Drive Kit, which uses scalable components such as motors, axles and suspension to allow it to be used for cars ranging from superminis to luxury cars. It has been developed alongside a larger electric car platform that sister company Audi is using as the base for the production version of its Q6 e-tron quattro project. The ID concept also has a fully autonomous mode called ID Pilot, which will be ready for public use in 2025. By this time, VW aims to be selling a million electric vehicles every year. As part of the autonomous mode, the ID’s multi-function steering wheel retracts into the dashboard when enabled. The concept can also receive parcels using a new delivery service if its owner isn’t home, although details of how this will work haven’t yet been released. VW’s electric push comes in the wake of the dieselgate emissions scandal, which prompted a large-scale revision of its future vehicle plans. The company says that when its electric hatchback goes on sale, it will be offered at "an attractive price." For reference, the current Golf is priced from £17,265 while the BMW i3 - arguably the new VW's closest competitor - costs from £32,380. The ID concept will also spawn an MPV similar to VW's Budd-e concept car from earlier this year, as well as an SUV, saloon and sports car.